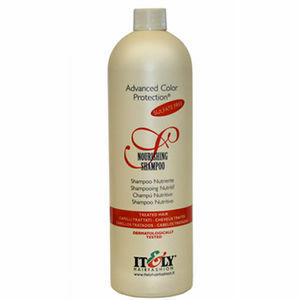 Rich and nourishing treat for coloured hair. It&ly's ACP Nourishing Shampoo is a bona fide bottle of luxury for treated hair, using sillk proteins to offer advanced colour protection. It's sulphate free and has been dermatologically tested, too. £8.39 (inc. VAT) Why no VAT? We're a trade wholesaler and quote our prices without VAT to help our VAT-registered customers understand the true cost of a purchase. Rich, nourishing conditioner that offers advanced colour protection for treated hair.